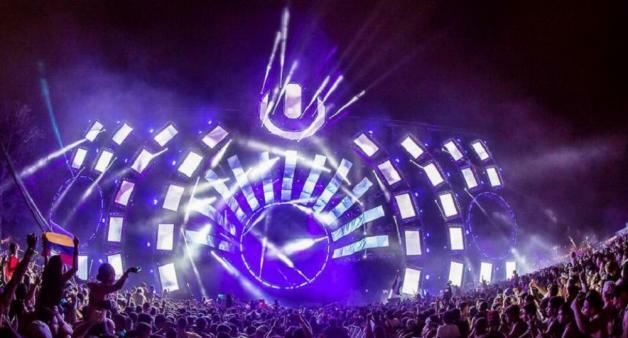 While numerous electronic music promoters crumble under the weight of the EDM industry’s recent contraction, Ultra has proven itself capable of weathering the storm. 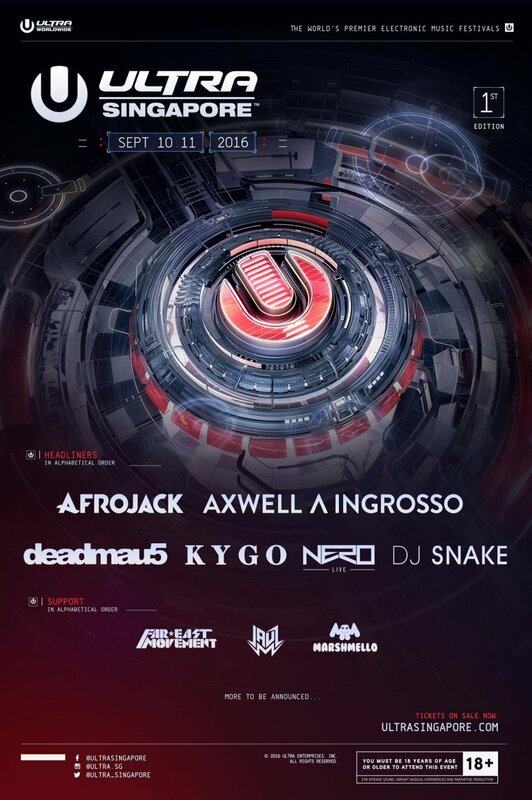 It wasn’t long ago that Ultra Singapore‘s organizers revealed that the two-day festival would kick off in 2016, and now they’ve followed up the announcement by unveiling its phase 1 lineup. Afrojack, Axwell /\ Ingrosso, deadmau5, Kygo, Nero and DJ Snake comprise the biggest chunk of names on Ultra Singapore’s present talent roster, while Far East Movement, Jauz and Marshmello all find their logos in the smaller row – which speaks to Far East Movement’s relevance in the Singapore market. Last year’s Road To Ultra was held at the Marina Bay Sands Convention Centre in Singapore, although it only consisted of one day and was held indoors. Ticket demand for Ultra Singapore is expected to dwarf last year’s event, and a total of 40 artists will grace the full lineup. The first-ever Ultra Singapore will take place in a field across from Marina Bay Sands Convention Centre on September 10th and 11th. Check back for more announcements from the festival’s organizers in the months leading up to those dates.